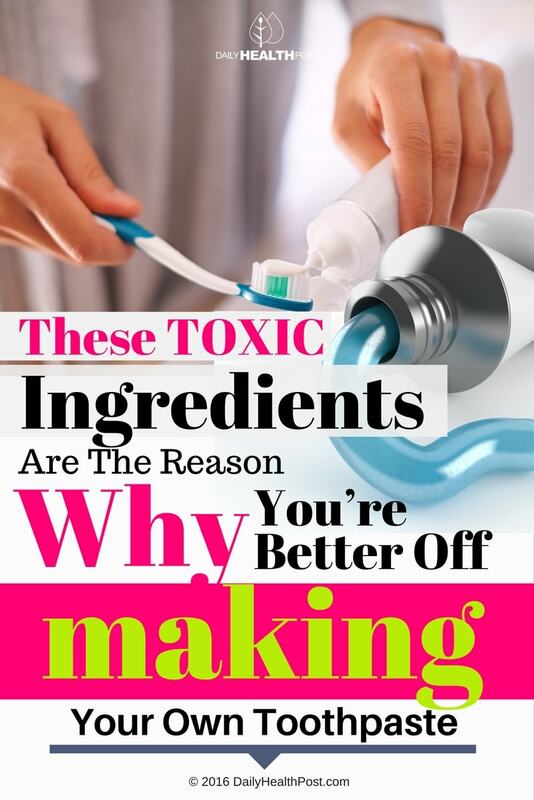 You might be surprised to learn that your toothpaste is loaded with unnecessary toxic ingredients. There’s a reason why the label says not to swallow it. There’s even a poison center phone number you can contact in case you were to accidentally ingest some. Many medications that exist today are sublingual – meaning that they need to be placed under the tongue. Why? Because it can enter the bloodstream much faster. Most people don’t know about this and never realize how harmful their commercially bought toothpaste can be. 1. Polyethylene Glycol is used in the manufacturing of conventional toothpaste. It is also a common commercial plastic used in packaging many products you buy every day. 2. Toothpaste companies add Triclosan to the product recipe for its antifungal and antibacterial properties. It is used in pesticides and has been deemed a hazard to certain aquatic life. Triclosan has been found to stimulate the growth and development of breast cancer (1) as well as hamper both cardiac and skeletal muscles in clinical trials (2). 3. Water is often fluoridated and almost every commercial toothpaste contains this neurotoxin. Most chemicals are unable to cross the blood-brain barrier; however, fluoride is one of the few that can. Many forms of cancer have been link to fluoridated water and extended exposure was found to cause substantial damage, especially to the nervous system (3). It can also impair blood flow in the digestive system and cause cellular damage in the mucous tissue in the mouth as well as in the liver (4,5). 4. Lauryl sodium sulfate, which is classified as a surfactants, is used as a detergent and an emulsifier. You will often find it in your shampoos and body washes. It has been proven to notably promote the development of cancer, especially in the colon (6). 5. Sorbitol is a sugar alcohol which is commonly used as a sugar substitute in most conventional toothpastes. Ingesting it can cause indigestion; gas; bloating; nausea; and osmotic diarrhea (7). 6. 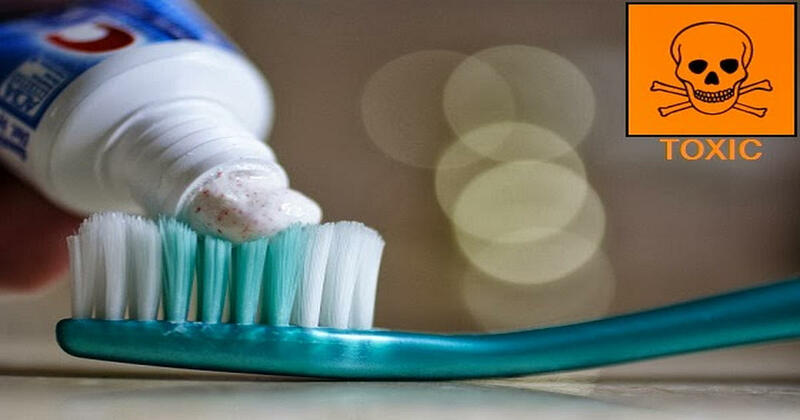 Diethanolamine is an emulsifier used in making toothpaste so that it will foam. Diethanolamine can disrupt hormones and form cancer-causing nitrates (8). This in turn can cause liver and kidney damage. Switching from conventional toothpaste to one that is natural, or better yet, one that you make yourself is a huge step. This alone eliminates your exposure to all of those harsh, toxic chemicals listed above. Teach the kids about natural products for oral hygiene. Give them a sense of accomplishment. Offer a way to spend quality time together. Note: Any organic extract or essential oil can be used for the flavor. Try a fruit flavor for the kids and mint for the adults. This recipe yields just over 5 ounces of homemade toothpaste which should be stored in a glass container with a tight sealing lid. Combine all of your ingredients except the water. Add the water only a few drops at a time until the paste is the consistency that you want.